There’s a very important referendum taking place in the UK this week; you may have noticed things have got rather heated and not always positive, on both sides. It got Paul thinking about all his favourite things from the EU, and if he was taking a whistle-stop-tour before Thursday, he’d be bringing back these delights. In the top slot, would have to be either France, Czech Republic or Sweden with the combination of wine, fruit dumplings and Abba providing a celebration never to be forgotten! 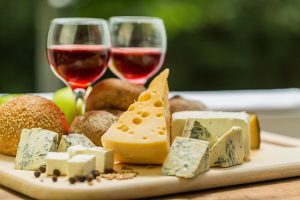 From France – Cheeses and wines. Let’s be honest, pretty much all their wine and all their cheese are amazing. Whether you want to have a picnic lunch or a grand dinner, you’re likely to include one or the other (or both, preferably). 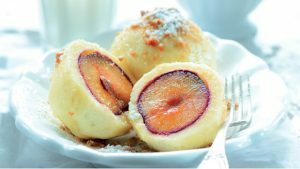 From The Czech Republic – “Ovocné knedlíky” fruit-filled steamed dumplings; simply delicious and filled with either peaches or strawberries. Need he say more? 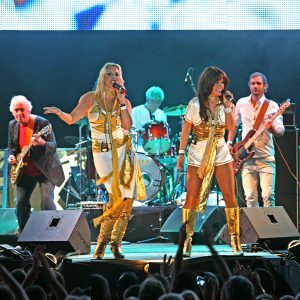 From Sweden – Fond as Paul is of pickled herring, his actual choice from Sweden is the music of ABBA and let’s face it, after the herring, dumplings, wine and cheese, we’re going to need to dance off some excesses! One of the great joys that travel around the EU has brought to Paul, and he tells us, for many of his clients, is learning (or attempting) to re-create the culinary specialties of many of our neighbours. From hand-made Pizza to every type of Pasta, many of us have developed our own favourite Italian recipes. It can be more of a challenge to find the ingredients for some of the dishes and even more of a task can be getting someone to share the family recipe, often passed down for generations. If you are planning to bring back any of the delicious dishes or ingredients you have tried during your trip, always make sure you check what the rules are for bringing goods into the country before you pack. There can be very serious penalties for importing a forbidden food stuff, and claiming ignorance is no defence. You can check the regulations for EU countries here. What would you include on your shopping spree? What delicious dishes have you tried on holiday in the EU and then made at home?